Star Wars: The Last Jedi is currently the talk of the Internet, thanks to the unveiling of the film's trailer earlier today. But with this first look at the film comes a flurry of new questions - with many looking to director Rian Johnson for an answer. During a recent interview with Good Morning America, Johnson was asked about a topic that has been frustrating fans since the film's title was first announced - whether 'Jedi' is used in a singular or plural sense. According to the director, that question is something he wasn't expecting to deal with while making The Last Jedi. "It's so funny," Johnson explained "when people started asking that when the title was announced, because I had never even pondered that question. That seems like, to me, the most uninteresting [question]." Nevertheless, Johnson did reveal what he believes the title is referencing. "And look, in my mind, it's singular. In my mind, it is. Absolutely, yeah." When asked if that singular Jedi would be Luke Skywalker (Mark Hamill), Johnson was quick to reference a line from The Last Jedi's predecessor as a sort of vague evidence. "I mean they say, in The Force Awakens, that he's going to find the last Jedi temple, and Luke is the last Jedi." Considering the fact that Johnson also wrote The Last Jedi, some might take this explanation as a bit of an omen to the film. But there are a few possibilities at play here. With the film beginning right where The Force Awakens left off, the dialogue that Johnson referenced does still apply - but it might change as the film goes on. As Rey (Daisy Ridley) is seen training under Luke, he certainly is helping her train to become something, despite saying that he believes that "the Jedi should end". Whether or not the term 'Jedi' continues to have the same meaning as it did in the previous films - or be adopted by newer users of the Force such as Rey - is entirely yet to be seen. In which case, Luke being the last Force-sensitive being to hold the mantle of Jedi would make Johnson's explanation still valid. Of course, there's the possibility that Johnson could just be voicing his personal opinion, which could very easily not indicate anything about the show's plot. Several of The Last Jedi's international title cards use the term in a plural sense, which would directly contradict what Johnson is claiming. Fans will just have to endure the long wait until The Last Jedi premieres in December to find out for themselves. Are you excited to find out what The Last Jedi means? Let us know with your vote in the Anticipation Rankings! 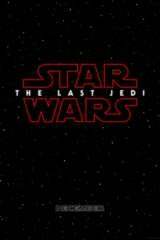 Star Wars: The Last Jedi, from writer/director Rian Johnson, is in post-production now for a December 15, 2017 release. The film follows-up and continues the story of the next generation of the saga as Rey, Poe, Finn, and Kylo Ren find their place in the galaxy and follow the legacy of Luke Skywalker, Leia, and Han Solo. Daisy Ridley returns to star as Rey, with other returning stars John Boyega, Oscar Isaac, Adam Driver, Domhnall Gleeson, Gwendoline Christie, Peter Mayhew, Andy Serkis, Anthony Daniels, Lupita Nyong'o Mark Hamill, and Carrie Fisher as General Leia Organa. Benicio Del Toro and Laura Dern join the cast in as-yet-unrevealed roles.